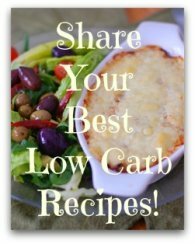 Leftovers recipes that are simple, economical and low carb delicious! 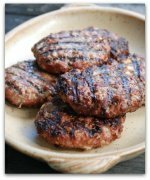 On this page I’m sharing some leftovers recipes that are low carb. Feel free to add higher carb items to round them out to suit your particular diet. A lot of food is often thrown out because it sits in the fridge and people don’t know what to do with the leftovers. What a shame. Some folks just don't like the taste of re-heated food. That's OK because these recipes really transform the flavors of what you ate from the night before. Cooking with leftovers turns into a wonderful opportunity for a great taste experience. So why not give it a try? I love to invent low carb stuff using what we ate the night before as a starting point for today’s meal. I even have leftovers for breakfast sometimes! I’ll just re-heat a piece of steak and fry up an egg, add some sliced tomatoes and my day is off to a great start! Some of the recipes are stupid simple to make and others require a little more prep work. But I don’t mind. Creative uses for leftovers can really stretch your grocery shopping dollars. When you've cooked something and you know there's too much food at serving time make sure you put that food away promptly. DON'T let the food cool down to room temperature before putting it away. You need to cool the food down very quickly. So put it in containers and get it in the fridge pronto! One of the most common causes of foodborne illness is leaving the food out at an unsafe temperature. If you've ever been sick from food that was poorly handled, you know what I'm talking about! And if you haven't had the pleasure, trust me you don't want to experience it. ...AND ON TO THE RECIPES! Below are various leftover food items with corresponding links to recipes featuring that particular food item. This list continues to grow over time so do come back and check in to see what other low carb culinary madness I’ve been up to. Enjoy these leftovers recipes! 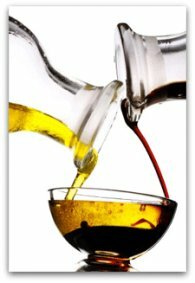 Do you have recipes you’d like to share with other visitors? Why not feature them here for the world to enjoy. Let's go from the Leftovers Recipes page back to the HOME page.